Spring has sprung and so have all the spring vegetables. The long awaited asparagus is ready, beets, garlic scapes, peas and radishes, to name a few. It’s time to get cooking with some in-season veggies, when they are most flavorful and they are the cheapest. 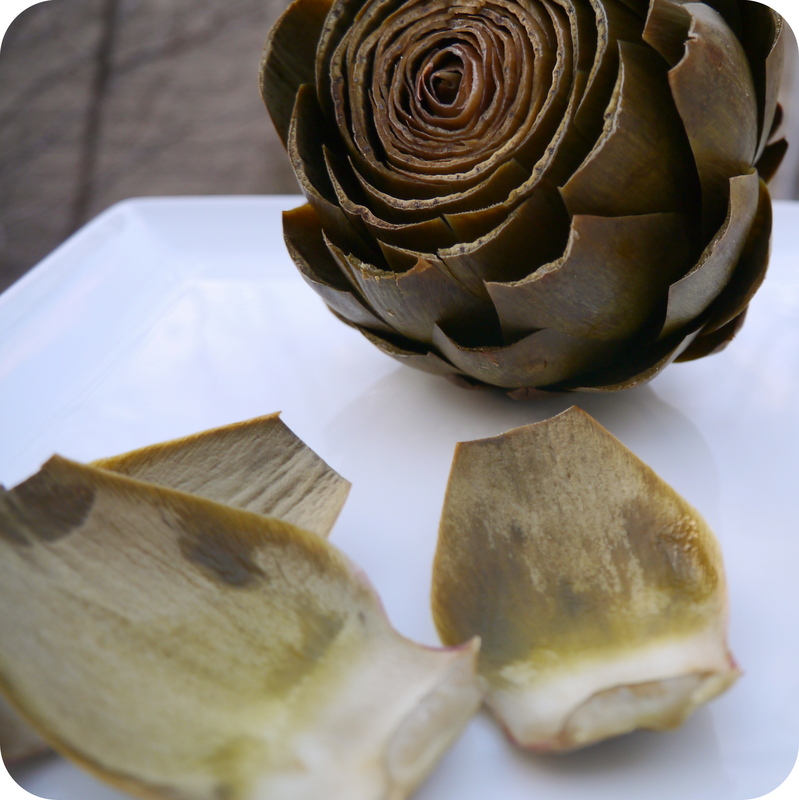 This week we Face Off a spring vegetable that you can find all over the place this time of year…Artichokes, complete with dipping sauces. 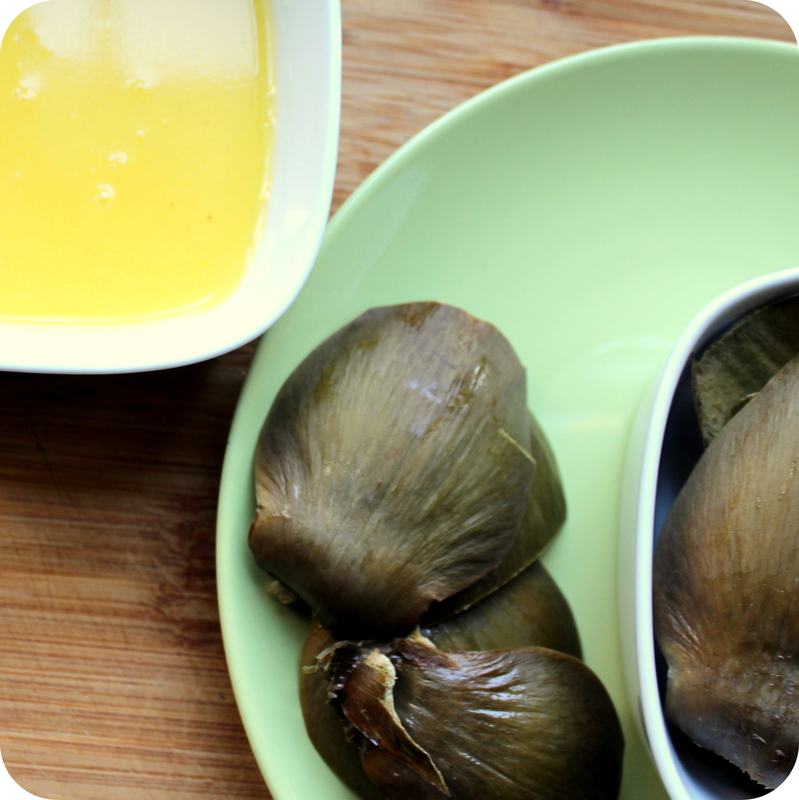 Morgan brings on a traditional dipping sauce for artichokes, butter (! ), while I created a creamy and spicy Vegan dipping sauce. Both great recipes to serve up to your next guests, or to make for tonight’s dinner.